For a while now the secret of copper water bottles has been out, but do you really know all the supposed bennifits of using one? 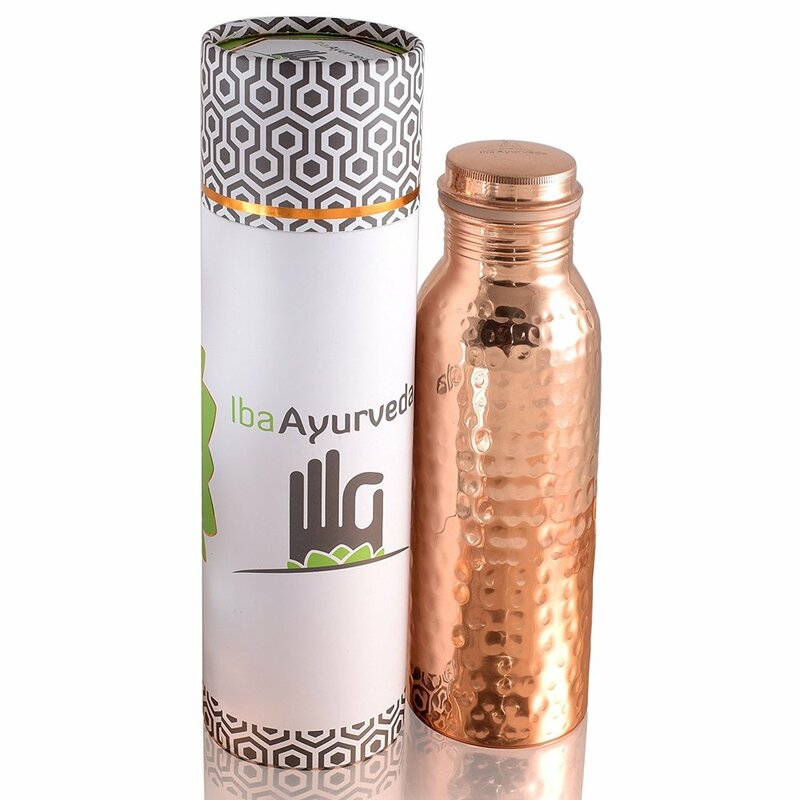 According to Ayurvedic knowledge storing your water in a copper vessel can do many things to help your body. Studies have proven that copper is anti-bacterial (that means the vessel is actually cleaning your water), acts as an effective anti-oxidant, improves immunity, supports good health, helps with the function of your spleen and your liver, prevents aging, eliminates toxins and free radicals, and stimulates the brain. I'm sorry did someone say prevents aging? We are in! 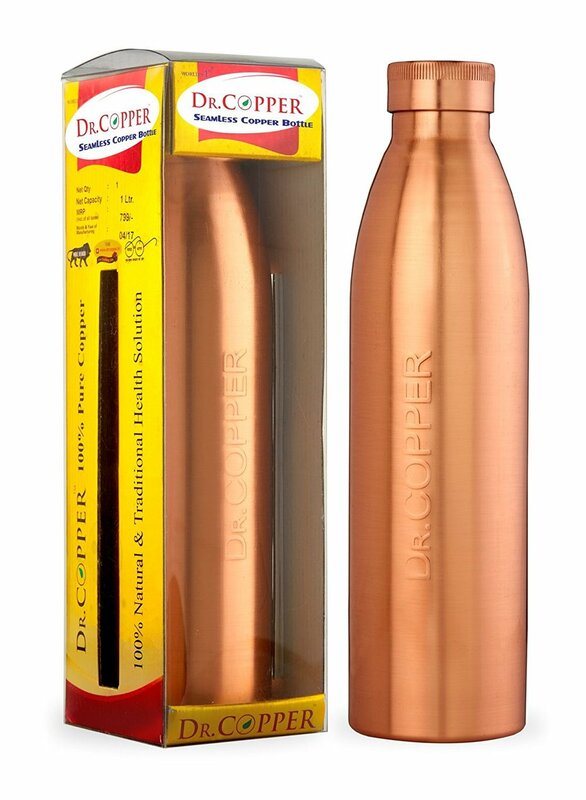 These days you can find a copper water bottle just about anywhere, just make sure the it's pure copper and you are not getting one that lined with nasty plastics. You also want to make sure you're getting the most out of your bottle. Here are a few tips from yogadigest.com for traditional use. "According to Ayurveda water stored in a copper vessel has the ability to balance all the three doshas in your body, (vata, kapha and pitta) and it does so by positively charging the water. The water stored in a copper vessel is known as ‘tamara jal’ and is supposed to be consumed after storing the water in a copper vessel for at least eight hours." so fill that bottle up before bed, and leave it out on the counter, drinking water room temperature is actually better for you. Another health benefit that hooked us is what it can do to help stimulate your thyroid function. Both of the TWH girls have thyroid different thyroid issues so we are always on the look out for more information on how to promote thyroid health. We found this on msn.com along with a TON of other amazing information. Regulates the working of the thyroid gland: Experts say that one commonality amongst people with thyroid diseases is that they usually have low levels of copper in their body. While this is most commonly seen in people with hyperthyroidism (excessive thyroid hormone), those with hypothyroidism (low levels of thyroid hormone) may also suffer from this deficiency. Copper is one of the most important trace minerals the thyroid gland needs to function optimally. A lack in copper can send the functioning of the gland out of sync. So when you drink water from a copper vessel it makes up for this possible deficiency and regulates the functioning of the thyroid gland. Here are a few easy to order Copper Bottles that don't cost an arm and a leg. If all the research is correct, there is no reason why we ALL shouldn't be drinking out of copper vessels everyday- all day. Plus they are really pretty! Here is how to clean yours.